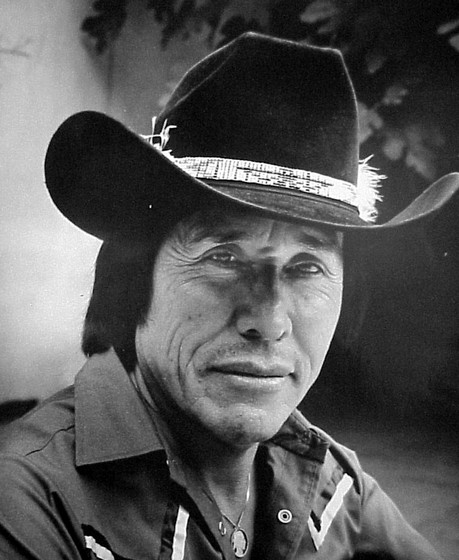 Chesley Goseyun Wilson was born in the village of Bylas on the San Carlos Apache Reservation in the White Mountain area of southeastern Arizona. 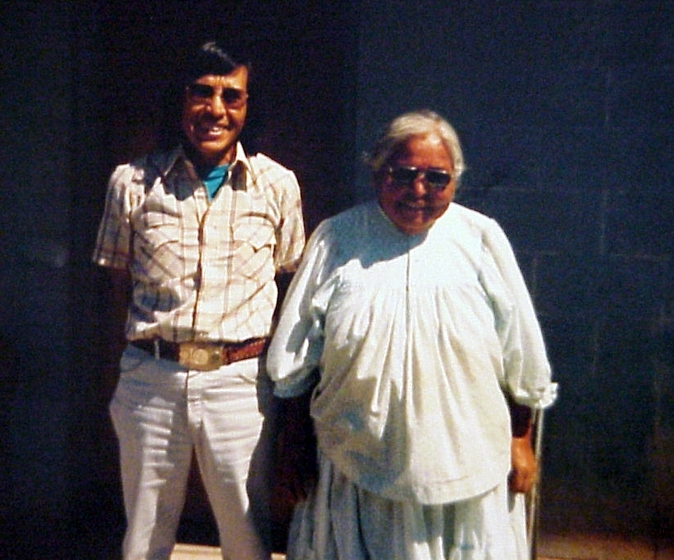 He is a Western Apache of the Eagle Clan and is the great-grandson of Aravaipa Chief Hashkebansiziin (Eskiminzin) and the great-great-grandson of White Mountain Apache Chief Hashkedasila, who invited the United States government to establish a military facility on his land. 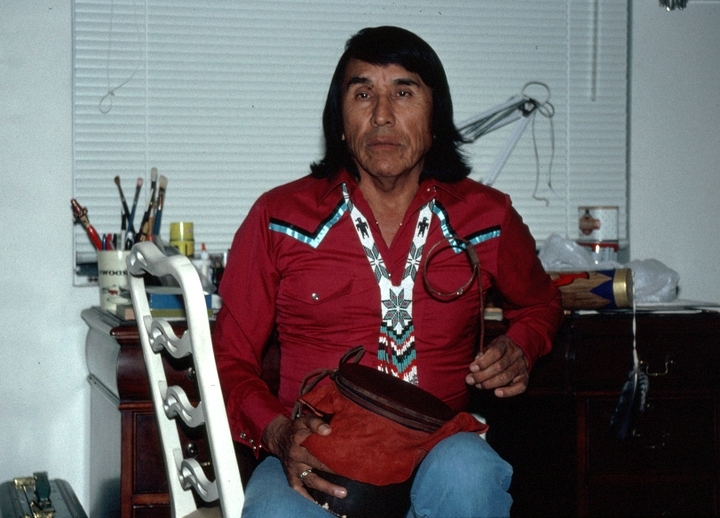 Wilson is a medicine man, qualified to conduct important tribal ceremonies, a singer, a dancer and the last active member of a family of Apache violin makers descended from Amos Gustina, a seminal musician of the Western Apache people. 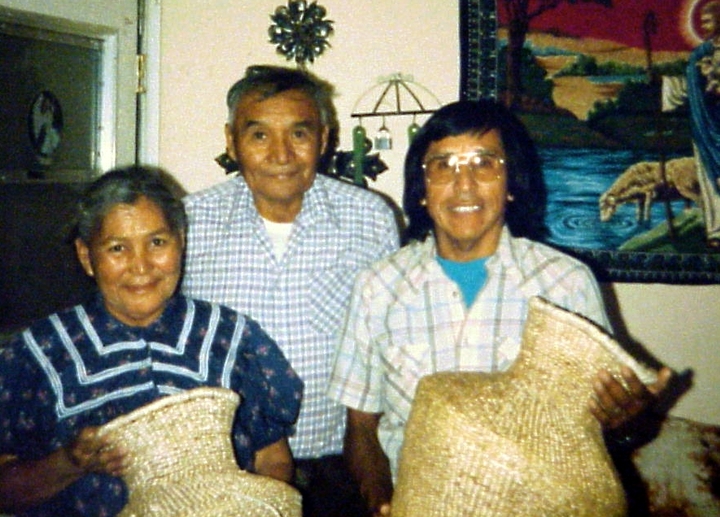 The Apache have a long tradition of wood carving in general, but are especially notable for their tradition of stringed instrument making, a musical tradition shared only, as far as is now known, with the Seri Indians of northwestern Mexico. 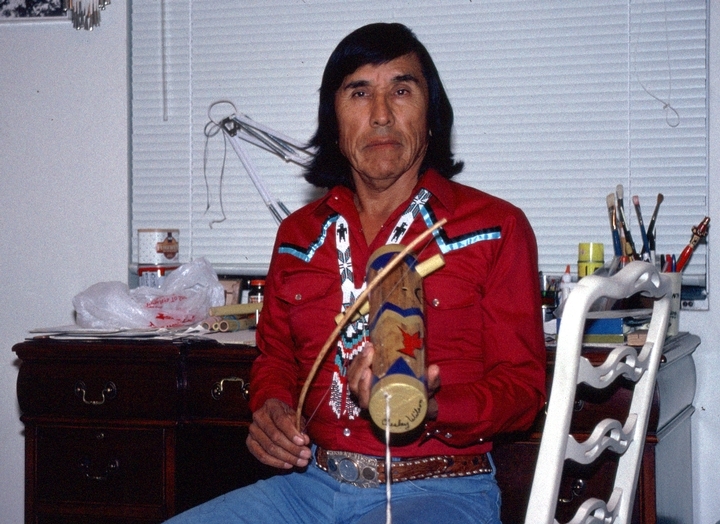 The origin of the Apache violin is difficult to establish, though it seems likely that the tradition existed prior to the coming of the Spanish. The Apache name for the one- or two-stringed violin is Tsii' edo'a'tl, which translates to "wood singing" or "wood that sings." The instrument is also known by its colloquial name, Ki'zh ki'zh di'hi, which translates to "buzz buzz sound." 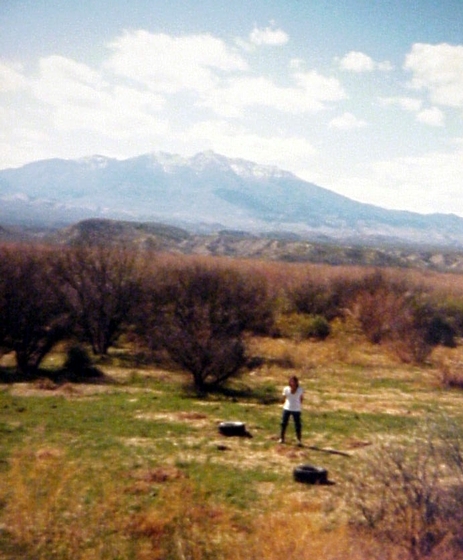 Wilson describes the sound produced as a cross between a soft flute and a dulcimer. The present-day Apache violin is most typically made of the dried flower stalk of the agave (Agave desertii) or century plant, cut to lengths of about 40 centimeters, although some are nearly 70 centimeters long. The soft interior pith is hollowed out and the stalk is shaped into the body of the violin, leaving a few inches of stalk intact at both ends to support the string peg and the tuning peg. The instrument is strung with black horsehair, as is the bow, which is made of any flexible wood that can be bent into shape. Only one string is used, and the violin is played by placing the lower end against the chest, stopping the string with one or more fingers of the left hand and moving the bow with the right hand. As in the playing of most similar unfretted instruments, there is frequent use of microtones, which are often not noticeable to the untrained ear. This also is a characteristic of Apache melodies. Because the instrument is intended for solo performance, its tone is delicate and soft. 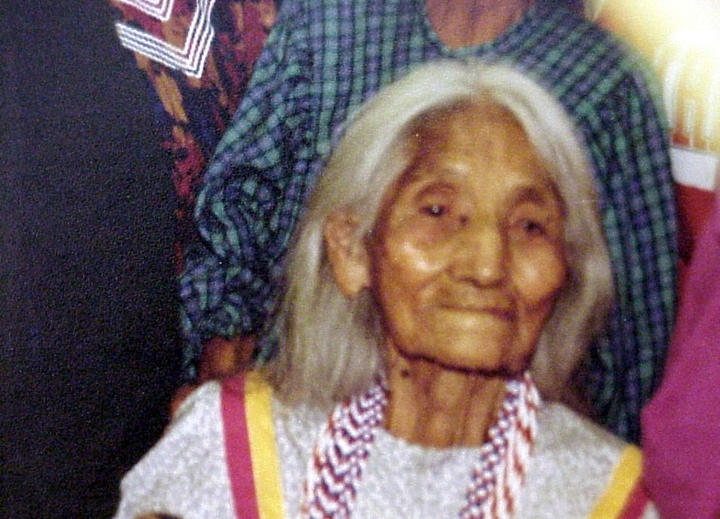 Songs played on the Apache violin include love songs, ceremonial songs, social dance songs and improvisation for the performer's own enjoyment. Wilson finishes the violin with ornamentation that includes painting and light carving of the body and tuning pegs. In addition to the usual two or three soundholes near the base, he usually drills patterns in the body. Early violins, those made prior to 1920, were most often painted with simple geometric designs using black or red paint, or both colors together. After 1920, the decoration became more ornate, intricate and colorful. Geometric designs and traditional symbols employed for decoration might represent the four directions, clouds, mountains, the sun, serpents, wind spirits and the Ga'an (Mountain Spirit or Crown Dancer). Over the years, Wilson has had various jobs to earn a living. He worked for Comstock Silversmiths, Inc., of Nevada for 25 years, and has been employed as a security guard. 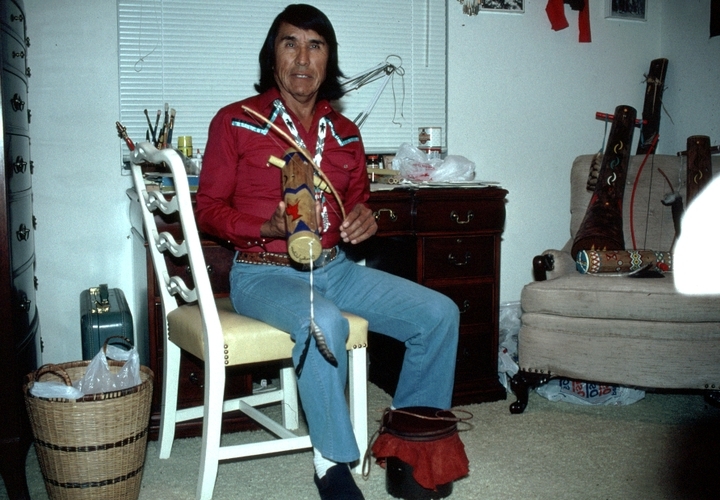 In his free time, he has made violins and striven to keep other Apache crafts, customs and ceremonies alive. 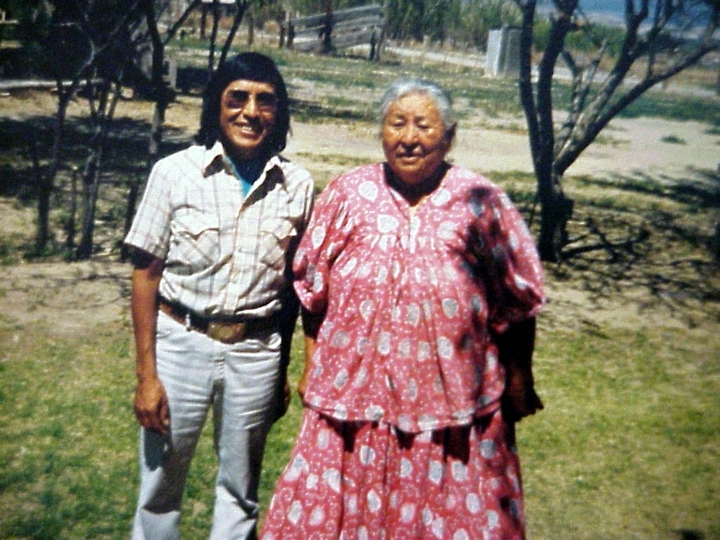 He sings traditional Apache songs that he learned from his uncles and his father, all of whom were prominent medicine singers. 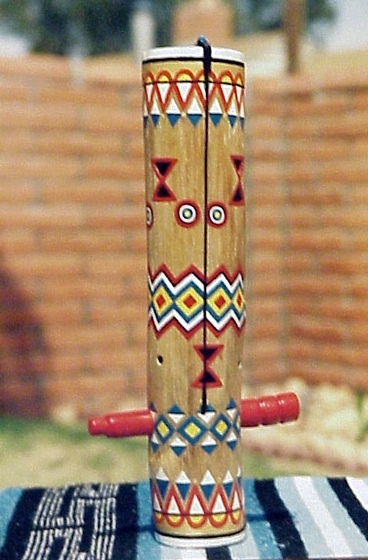 He also carves and paints figurines of Ga'an dancers and participates as a singer in traditional Ga'an dancing ceremonies. 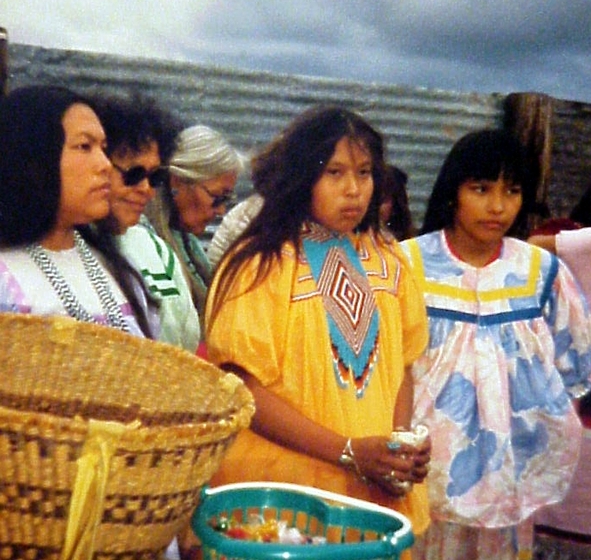 As an authority, he has instructed younger Apache students on the discipline of Ga'an. 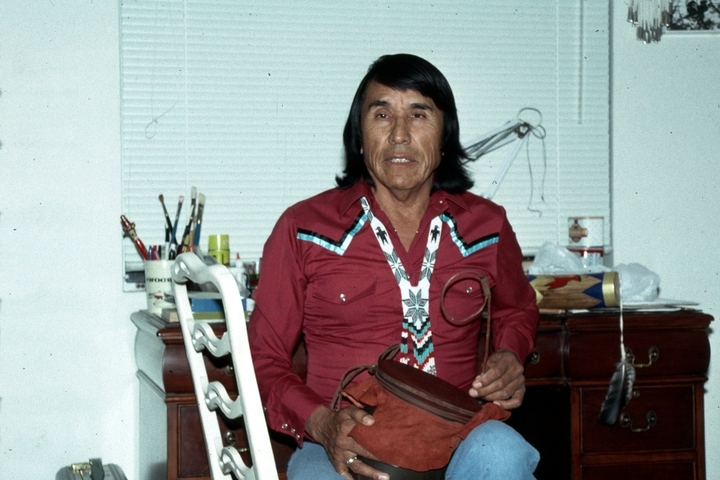 Wilson has also spoken and demonstrated before wider audiences at the Heard Museum in Phoenix, at the Southwest Museum in Santa Fe and at the Tucson Meet Yourself Festival, among others. 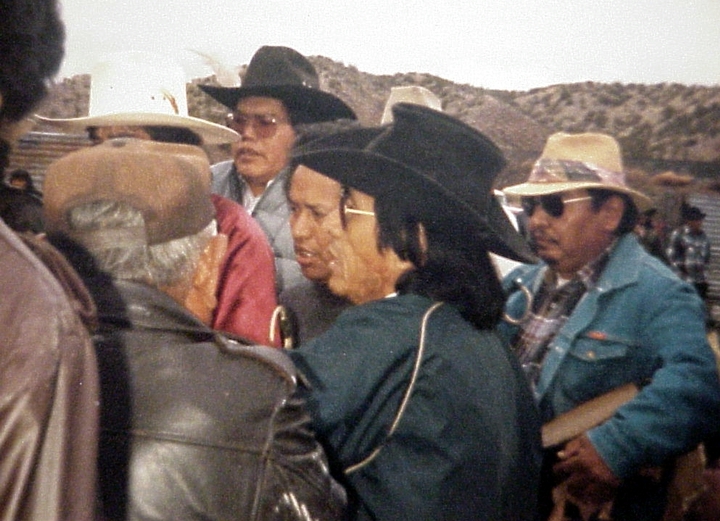 Wherever he goes, he embodies the Apache qualities of independence and cultural commitment. He says, "My fiddle only plays Apache songs." Bibliography Lokenvitz, J. E. "Keepers of Tradition." Cobblestone (August 1991) 12, 8: 38.